Italy has Tuscany. France has Provence. Among other things, the enchantment of Provence gave rise to an account of two transplanted Brits who moved to a small village in The Luberon region of Southeastern France. A Year In Provence is a witty and heartfelt account of two expats and their dogs living in one of Europe's most intriguing places. 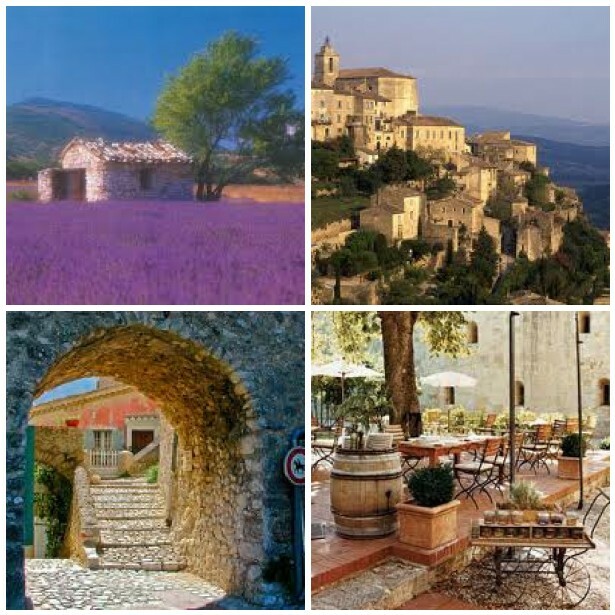 Provence is a place where you can experience the eclectic nature and simplicity of country living and small towns where French/Provencal culture has been cultivated and maintained with unbridled and unapologetic passion. Today's post picks up where I left you after a three day stay in the very cool, very funky hotel/B&B created by an architect and and artist in the heart of Provence in the City of Popes - Avignon (See Lumani - An eclectic oasis created by an architect and artist in the City of Popes-Magnifique!! posted on 08/07/12). After riding on air from Paris to Avignon via high speed rail, we rented a car for our road trip through this beautiful region of France with human habitation dating back to prehistory. With typical cruising speeds in excess of 180 miles an hour, in comfortable, roomy seating compartments, you learn two things. One - train travel, at least in Europe, is by far, the superior way to get from anywhere to anywhere and Two - You hate Delta even more than you did before. Even though we would have preferred to travel everywhere by train, the reality of travel in the countryside requires a car. And, it provides flexibility to stop and see things that you stumble upon, especially in a country as rich in cultural must sees as Provence. After saying our goodbyes to Jean, the architect, and Elisabeth, the artist we headed towards our next destination, La Bastide de Marie, a converted farm house in the heart of Provencal Wine Country. One of the great things about travel in Europe is its size. Because the countries are much smaller than the US, you can actually travel very short distances to experience vast changes in geography, culture and people. Since our hotel was only two hours from Avignon, we decided to take the slow road through the countryside and enjoy the place up close and personal. Just outside the village of Baux de Provence, we stumbled upon one of the most intriguing museums ever created. Now the French love their art. And this "museum" is proof positive that they can create places for art that defy the guidebooks. And our serendipitous discovery of this particular museum, located in the countryside of one of the most intriguing regions of Europe, proves what we are always saying on this blog. You simply must get off the beaten path to find those less well know places that inform and delight all restless Nomads. As we rounded a curve heading into Les Baux de Provence, we came upon a small parking area with people milling about, apparently on their way to something. After stopping and inspecting the area further we discovered it. Cathedrale D'Images. This "Museum" was in the most unlikely of places. An abandoned limestone quarry. There in front of us was a former rock quarry that had been converted into one of the most unique presentations of art and music one will ever experience. As we paid the fee and entered this amazing place, you could here music filling the huge spaces left by years of quarrying stone. Everywhere we looked, multiple images were projected on virtually every floor, wall and ceiling surface. All constantly changing in location, size and scope. Some of the massive "rooms" in this dark, cool place towered over sixty feet in height while extending over a hundred feet in length. Immersed in this unique subterranean collection of interconnecting spaces, the visual experience of a fifty foot high Picasso slowly changing to another painting or image, all to the accompaniment of classical music from Beethoven to Copland, was hypnotic. As we pondered multiple images of masters of the art world in the darkness, guided only by the cast off light from projected images, we gained an entirely new appreciation for the meaning of art and its uplifting impact on us as people. Unfortunately, this unique contribution to the art world has closed, but knowing the French and their love of art, rest assured this closure will be temporary. Even though we could have stayed forever in the Cathedrale D'Images, we had to leave to get to our destination for the evening. After stumbling upon this unique place of discovery, we both agreed that, while we loved The Louvre and its Mona Lisa, the French do, indeed, know how to take art appreciation, quite literally, to the next level. You do not want to miss next week's post on our second destination in Provence, La Bastide de Marie, a converted farmhouse like no other with French cooking that will make you cry - and I mean that in a good way. Video Artist of The Week - The Modern Jazz Quartet - One of the greatest jazz quartets ever. Old school modern jazz at its best. One critic has called them the perfect rhythm section with a vibe. This is music to sit back and enjoy with your best friends and the one you love. Travel Quote of The Week - "Our architect, an expatriate Parisian, had warned us that building in Provence was very similar to trench warfare, with long periods of boredom interrupted by bursts of violent and noisy activity," - Peter Mayle from the book A Year In Provence. Presidents, Goodfellows & Maharishi Mahesh Yogi - Really? This Place Isn't Strange Is It? After a three minute conversation with the manager of The Blackstone Hotel just off Lake Michigan, I was assured that the hotel was everything that was described in various travel guides to Chicago. This included its history as a renown hotel for the rich and famous, movers and shakers and glitterati of the 20's, 30's, 40's, 50's, ad nauseam. It also included my question concerning the final sentence in the description in one particular travel book, which stated that the upper floors were inhabited by The Transcendental Meditation Foundation, or at least a branch, founded by a really famous guy, the Maharishi Mahesh Yogi, spiritual guru to the likes of John Lennon & The Fab Four. According to followers, Transcendental Meditation is "the march of the mind to its unbounded essence". I once knew a guy who practiced TM every day. Very strange. My direct question to the voice on the other end was - This place isn't weird is it? To which she replied - Oh no sir, the "TM" floors are completely separate from the lower floors of the hotel and, as you know, the hotel is one of the most famous in all of Chicago. Note to self - In the absence of overwhelming evidence that a particular hotel is not just old - If it was built in 1909 and at least seven presidents slept there - run don't walk! Keep in mind that this trip to Chicago was taken before the internet, or at least before Google, so one depended on travel books and other sources for hotel information. And, this Beaux Arts beauty has since been purchased, completely renovated and re-opened as a Marriott Renaissance Property in 2008. Presumably, things have improved. I'll let you know if I ever stay there. However, as to our visit, none of the travel books we used got the memo on The Blackstone. After the phone call with the very nice lady, I just kept telling myself and my wife - Presidents from Harding to JFK have stayed there. Monroe, Hepburn, Capone, Ike!! It must be good - right? Read on. 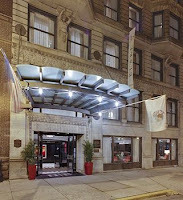 After a quick train ride on the 'L' from O'hare, we took a short cab ride from the train station to the famous and what was soon to be - infamous Blackstone Hotel. As we pulled up, the first thing I noticed was the torn awning in front of the vintage Beaux Arts facade. In addition, I saw a large contingent of high school kids with all manner of horns, drums and uniforms. My experience has been that when you combine a torn awning with a large contingent of teenagers, with band instruments, who are also guests, the hotel is probably not on any "Nomad's Places To Sleep Before You Die List". Nonetheless, we gathered our luggage and headed into the lobby. As we passed by a young woman dressed in white linen from head to toe, sitting barefoot on the grand staircase staring into space, I started to think that maybe the lady on the phone was not completely candid. Then, as we entered the lobby, it hit us.The heat!! The lobby was a balmy 78 degrees. But that was OK since, directly behind the front desk, there was a very, very large pedestal fan with wind speeds north of 20 mph to cool patron and staff alike. As we checked in, I was beginning to get that sinking feeling that we were playing movie roles in a very dark comedy. It's funny to watch but not particularly humorous to actually be in the movie. 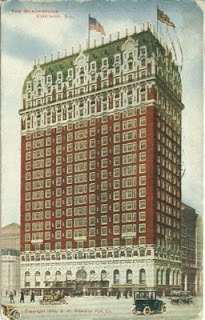 One of the many features listed in various travel books was the "complete" renovation of this 1909 grand dame of the privileged set of yesteryear. After check in, we stepped off the elevator into what appeared to be a wholly renovated space. New carpet, some new paint and air conditioning. The hot, humid lobby and the strange people hanging around started to fade into memory. However, as we quickly found out, the "renovation" stopped at the threshold of the door to our room. When the door opened , I could actually hear the soundtrack from Planes,Trains and Automobiles when Neal and Del checked into the El Rancho. Old floors, old rugs, very old bed and "vintage" bathroom fixtures. Interior design circa 1975 was the over arching theme. Motel Six with ten foot ceilings. After inspecting the room and the bathroom, I said to my wife - At least it's clean. Since the hour was late, and we had dinner reservations and tickets to see The Phantom of The Opera that evening, we stashed our stuff and decided to clean up for the evening on the town. As I was sorting through my stuff, I heard my wife say - "Come here, you have to see this". As I walked into the bathroom, I discovered the real world meaning of "vintage" as rusty water flowed out of the faucet. However, rather than panic, we patiently waited for the water to clear up, which, thankfully, it did. As we were getting dressed, I decided to turn the TV on to see if we could get some info on the comings and goings in Chicago Land. There was a slight problem. I quickly discovered the volume knob did not work. And it was very, very loud. When I answered a knock at the door to find a sixteen year old tuba player politely asking me to turn the volume down, I had to explain to him that that was not possible. To be accommodating, I simply turned the violating box off and enjoyed the sounds of tubas, trumpets, clarinets, etc. wafting throughout the hotel. I think the entire band was on our floor. How special. As we headed out to dinner and a fabulous production of Phantom, the travail of The Blackstone quickly faded. Upon returning after our night on the town, I told my wife I was going downstairs to rustle up a coke. This frozen in time hotel had no vending machines of any kind. However, I was in luck. The "diner" just off the lobby was still open or so I thought. As I walked up to the counter to order a coke, the man behind the counter said they were closed. Rats, I thought! I am really thirsty. Then out of the corner of my eye, I saw a small group of black leather jacket clad guys that could only be described as Goodfellows. The "made guy" of the group, a Joe Pesci look-a-like, says to the bartender - Yo, Give da man his coke - no chaage! I said thanks, took my free coke and quickly returned to the room with the loud, now silenced TV and squeaky bed and finally fell asleep. We Gotta Get Out Of This Place, If It's The Last Thing We Ever Do! I awoke early, found the phone book and began perusing for alternate digs. There it was, glowing on the yellow page. A possible place of refuge. A short cab ride just around the corner - The Hyatt On Printer's Row. I quickly dialed the phone and presto! They did indeed have a room. We packed, checked out and said our goodbyes to The Blackstone and Mr. Yogi and his minions. As we arrived and checked into our new, well designed and appointed home away for home, I was pleasantly surprised to find a small boutique hotel located in the heart of the big city. This very well detailed hotel did not disappoint and provided us a welcomed change from the previous night's stay at the ancient Blackstone. In the interest of full disclosure, The Hyatt On Printer's Row has since become a Wyndham property and, as such, I cannot vouch for its current status. Although the reviews I have read are quite good. As we enjoyed the rest of our stay in the greatest architectural city in America, Chicago became my favorite American City. We have been back many times to the stomping grounds of some of the world's greatest architects and some of the most stunning buildings in the world. The Art Institute of Chicago is a must see for art lovers and The Auditorium Theatre, the masterpiece designed by Dankmar Adlar and Louis Sullivan, is home to the world renown Joffrey Ballet. And if highbrow is not your cup of tea, check out the comedy troupe Second City. It will bring tears of uncontrollable laughter. After three days in the big city at the very cool Hyatt On Printer's Row, we headed back to Florida with great memories we still laugh about today. As my travel companion - Susie, you remember Susie - is fond of saying - "Bad Beginnings, Good Endings". A woman of few, yet wise words, indeed! Video Artist of The Week - Who better to represent Chicago than the rock band with horns - Chicago. After four decades and numerous personnel changes, this great band is still recording and touring. I wore out Chicago Transit Authority in college. Travel Quote of The Week - I have struck a city- a real city- and they call it Chicago......I urgently desire never to see it again. It is inhabited by savages. Rudyard Kipling - Hmm - Must have stayed at the Blackstone!! As we watched Big Sur fade in the rear view, we wandered aloud if we should have just stayed another three days and check out San Francisco and its environs on a later trip. Staying in a place like Big Sur really does change your perception of what travel is supposed to be. All Nomads are looking for that one place, that one town or hilltop or little house on the beach where we know we could stay forever and never need anything but the air, water and sustenance of that one place. Big Sur is that kind of place. It completely validates the whole idea of the art of doing nothing, only with great views. 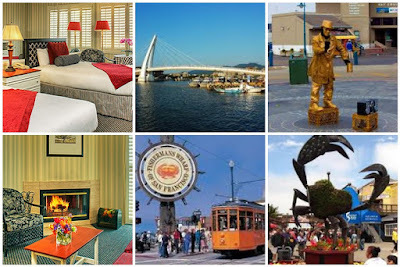 But, like all True Nomads, we decided to press on to see if San Francisco, The Golden Gate and the famed Napa Valley could live up to the hype. 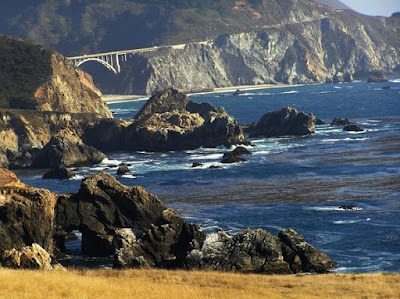 The drive from Carmel up The Coastal Highway through the beach towns of Santa Cruz and Half Moon Bay took us out of the rocky coastal landscape of Big Sur into a more gentle, pastoral one with numerous easy stops to enjoy the California coast. With great expectations, we picked up California Highway One just outside of Half Moon Bay, for the one hour ride into San Francisco. Just south of San Francisco (and here is where you need a good map or Smart Phone) we picked up US-101 and made several small detours as we wound our way through the neighborhoods of The City By The Bay. And then, their it was. The Golden Gate!! I was utterly transfixed by this amazing work of architecture. The scale of this massive feat of engineering was almost beyond comprehension. And then I remembered all of those books I had read and all of those documentaries I had watched and understood why it is listed as a modern Wonder of the World by the American Society of Civil Engineers. 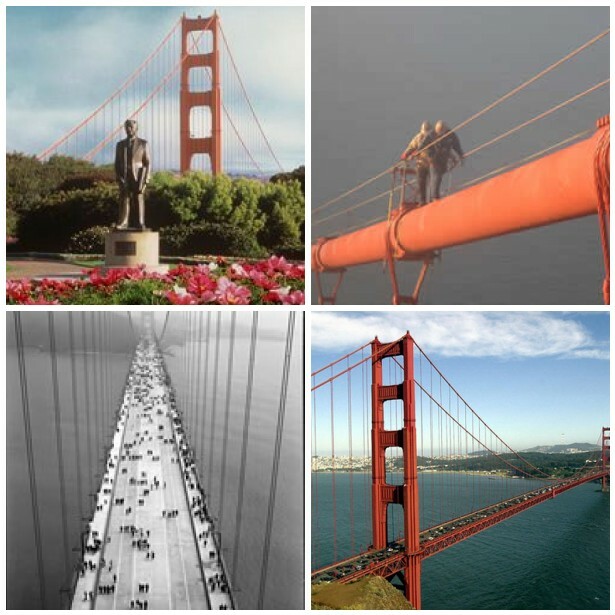 While there are other bridges throughout the world that are longer and higher, none capture the poetry of steel spanning a great body of water quite like The Golden Gate. Spanning 4,200 feet, this fascinating structure was built in four years, opened in 1937 and cost $1.4 billion in today's dollars. And, just in case you are interested, the bridge is not gold but orange vermilion or "international red". According to one Golden Gate Bridge Web Site, Consulting Architect Irving Morrow selected the distinctive orange color because - "it blends well with the span's natural setting as it is a warm color consistent with the warm colors of the land masses in the setting as distinct from the cool colors of the sky and sea. It also provides enhanced visibility for passing ships. If the U.S. Navy had its way, the Bridge might have been painted black and yellow stripes to assure even greater visibility for passing ships." It always takes an architect to make a thing go right! And Where Will We Stay Tonight My Dear? In keeping with our theme of zero planning for this adventure, we had, once again, failed to make a reservation, and the hour was growing late so we headed in the general direction of Fisherman's Wharf, only a few minutes drive from the southern access to the bridge, to hustle up a room. As luck would have it, we stumbled on a sweet little hotel in the middle of Fisherman's Wharf just off the main tourist tread way. This method of finding hotels on the fly was starting to become a habit. We lucked into The Tuscan Inn, a small, little boutique number with well appointed rooms, great staff and an afternoon wine and cheese tasting that made our stay complete. The front desk made various dining recommendations and they did not disappoint. 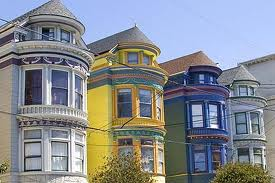 If you are a foodie, you cannot go wrong in San Francisco. It's a lot like New Orleans - you really can't get a bad meal. After a great meal at a small restaurant on the wharf, we walked back to our little bit if Italy in the big city and had a restful night for the big events of the next day. After our tranquil hike through the Muir Woods, we headed back to Fisherman's Wharf and caught the tour ferry to the infamous Alcatraz Island. The Rock no less. I did not see Sean Connery or Ed Harris or even Nicholas Cage. Oh wait, those guys were in the movie. What I did see was an excellent example of Creepy Architecture comprised of a massive group of very bad buildings designed to keep very bad guys locked up . How enlightening! After about two hours of a guided tour, it was nice to head back to the hotel, check in with the afternoon taste test and prepare for another great meal on the town. Day three - Destination Napa Valley. Specifically, The Niebaum-Coppola/Rubicon/Inglenook Winery - the place owned by Nicholas Cage's uncle - the iconic movie director Francis Ford Coppola. On the trip to Napa, we were treated to yet another example of the diversity of California. As we headed back across the Golden Gate for a day in America's renowned wine region, we were treated to another California must see - Sausalito. Anchored at the northern end of the Golden Gate, Sausalito is a small waterfront houseboat community of about 7,500 residents. Like all waterfront communities, this residential flotilla runs the gamut of stylish and stylized houseboats from the McMansion to the Macabre. A trip to this truly unique place is a must for The Nomad visiting the bay area. But we had more important things to do, so our stay among the rich, alternative living set was short. Napa and The Rubicon were beckoning. As we arrived on the finely etched gravel drive at the Niebaum-Coppola Winery, we felt transported into a world that could only exist in California, France or Italy. The Chateau, which was purchased as part of the 1250 acre estate by Coppola in 1975, has been impeccably restored. In addition to the main building, the winery has many other natural and man made features which make it the perfect place to enjoy the essence of a great wine making enterprise. It's history, starting with the original founder Gustav Niebaum, a wealthy businessman who had a passion for wine making, through its current iteration as The Inglenook Winery is long and storied. 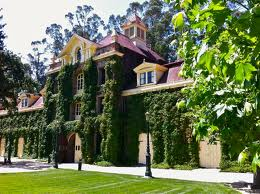 It must be noted that the winery was named Niebaum-Coppola in 1975, renamed The Rubicon in 2003 and finally named Inglenook in 2011. But we were there for the wine and the food. And let's just say, it was all good. In addition to The Inglenook, we leisurely visited other wineries, both large and small, soaking up the culture of this unique place along the way. Realizing that our California sojourn was coming to a close, we reluctantly headed back to our hotel late to pack for an early drive back to LA the next morning. It's inevitable. Post Trip Depression. It started the second we hit the I-80 East connector to I-5 South to LAX. 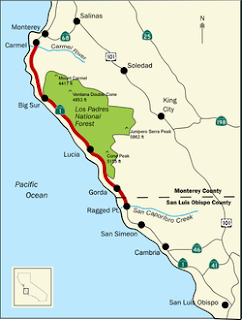 Because of time, we had to take I-5, which cuts a swath north to south through the middle of California all the way to the Mexican Border. The highlight of this final road trip was the monster windmills that seem to go on forever as if we were entering some futuristic 1970's bad sci-fi movie. As we began the slow decent back into the real world of bad airlines and long waits, we took comfort in the knowledge that we had memories to last a life time. Video of The Week - This week, I decided to link some trailers & scenes from the great little movie Bottle Shock about the story of the early days of California wine making featuring the now infamous, blind Paris wine tasting of 1976 that has come to be known as "Judgment of Paris". Starring Alan Rickman, Bill Pullman and Chris Pine, it's a must see movie. Travel Quote of The Week - The True Nomad's Credo - "Life moves pretty fast. If you don't stop and look around once in a while, you could miss it." - Ferris Bueller from the eternally classic comedy film Ferris Beuller's Day Off. I Really Do Hate Delta! Last we spoke, we were heading north to one of America's most beautiful and romantic destinations - Big Sur. After settling in for the two hour plus drive, we began to drink in the visual perfection that makes this enchanting part of America so unique. With every cliff hanging curve, surf pounding inlet and cascading rock formation, we were reminded of the grace and beauty of nature at its best. As an architect, I have spent most of my life dealing with issues of design and the built environment. Having said that, one must acknowledge those forward thinking nature lovers, explorers and even political leaders who managed to create the national parks, state parks and monuments for places like Big Sur where man is asked to tread lightly. Without those efforts, condos would be hung from every precipice with a view!! Frank Lloyd Wright said that he found great inspiration in The Grand Canyon. 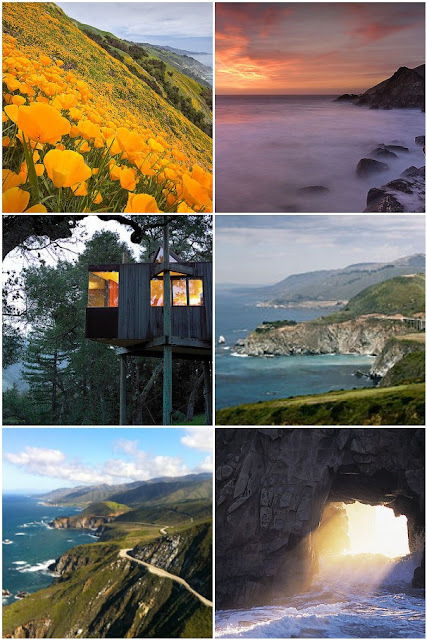 Upon seeing the work rendered by nature at Big Sur and the Central Coast of California , you come to realize - no matter how great the genius, any man made design pales when measured against God's earthly creations found in this enclave of natural splendor. As the long and winding road took us closer to Carmel, we realized that we had absolutely no idea where we were going to stay for the night. Like all travelers during the Pre-Google/Internet Search days, we had a stack of dog eared, highlighted books on California and its many regions, hotels and eateries from LA to San Francisco. But for some reason, we had not really planned much of an itinerary. Normally, I do not recommend this approach, since, you may end up in a Motel Six for the night, especially in places as heavily visited as the Central California Coast. As luck would have it, my Co-Nomad and life mate, Susie, turned to the page with a Hyatt Resort listed in The Carmel Highlands on the northern tip of Big Sur. I would like to think she found this place as a result of a thorough and highly evolved system of travel research, but, in reality, it was just one of those random, serendipitous occurrences that yielded results beyond our wildest imaginings. I mean, what are the chances of finding a killer hotel in Big Sur, California in the middle of the summer, only four hours before check in? It also helps that Susie, aka Karen Sue, is an avid reader and remembers the most mundane details from every book she has ever read, including travel books. She is also an excellent navigator and sign reader, even though she takes great pride in NOT being able to read a map. It defies explanation, but it's the truth. Without my soul mate, who has stumbled through life with me for thirty nine years, I would still be figuratively and quite literally - lost! I know what you are thinking. Wait a minute- this guy is always trashing big hotels and particularly chains - so how can he possibly be talking about actually staying at a Hyatt? Well - all chains are not created equal. Our history with Hyatt has always been very positive, particularly after staying in a very small boutique property in Chicago with a killer on-site restaurant some years earlier. So, given the late hour, we dialed the hotel direct. A very nice young lady informed us, amazingly, that they did indeed, have a room. Now that we had snagged a room on a Sunday afternoon, no less, in one of the most desired destinations for Nomads of every ilk, we slowed down even more, stopped at every nook and cranny to take in the beautiful views as we crawled along the most famous scenic drive in America. Just inside the area known as Big Sur, we stopped at a small roadside store of vintage "this place is really old" design, bought some road food, and found a place to rest and appreciate the simple pleasures one can experience when one travels like a True Nomad. In this environment, cheese crackers and Boone's Farm Elderberry would have fit the bill. Over the years, the vibe of Big Sur has been enticing to artists, writers and other creative types. Such luminaries as Henry Miller, Hunter S. Thompson and Jack Kerouac have resided here and produced many works while in residence. In addition, the area has served as a backdrop in numerous big studio and indie films, including The Sandpiper starring Elizabeth Taylor and Richard Burton. 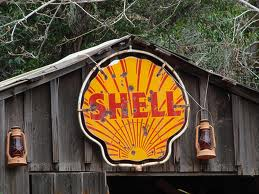 It has also been home to all manner of off the grid - or off the wall - places of religious thought, contemplation and new age philosophies, including a Catholic Monastery, The Esalen Institute and Tassajara Zen Mountain Center, a Buddhist Monastery . With only about a thousand permanent residents, this sparsely populated corner of Eden is comprised roughly of a ninety by twenty mile wide strip of coastline from Ragged Point in the south to Carmel in the north. Only the very wealthy can afford to live there, as real estate is sold by the square foot. One 1,200 square foot house is currently on the market for a cool seven million! But ridiculous real estate prices and strange, new age philosophies could not keep this Nomad and his bride from relishing the incomparable beauty of this little part of heaven on earth. As we continued north for the short drive to Carmel, I thought to myself - If I ever win the lottery, I am definitely moving here. The Hyatt Carmel Highlands is a scant fifteen minutes south of the very artsy and very wealthy coastal town of Carmel By The Sea. 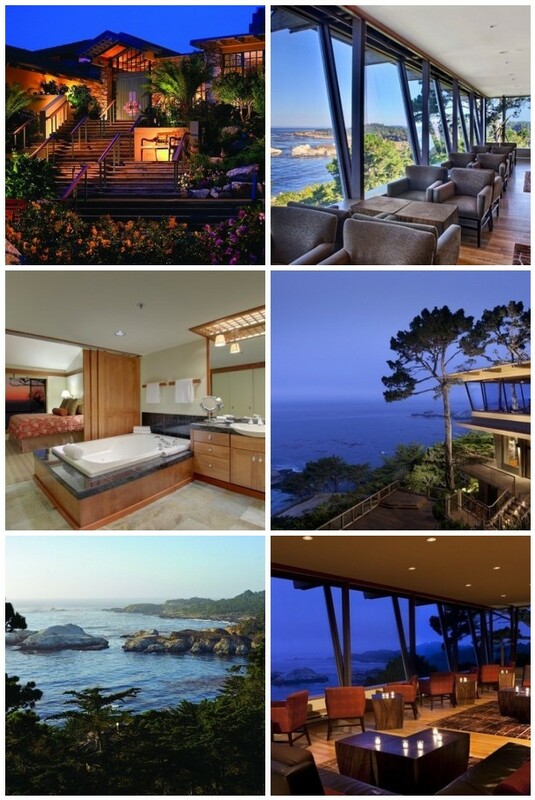 Besides having world class art, extremely wealthy residents and many restaurants, B&B's and shops where you can spend your hard earned money, Carmel boasts having Clint Eastwood as a former mayor. Only in California does Dirty Harry get to run the town. Because of its location, The Highlands feels as though it is the only place on earth from which to observe the comings and goings of the natural world and the Pacific Ocean. Upon arrival, we were upgraded to a full suite with direct views of the pounding surf below. By American standards, with only forty eight rooms and suites, The Highlands is a pretty small place. With exquisite wood detailing and intimate public spaces, the feel is more like a retreat or lodge than a hotel. In addition, it is designed "into" the landscape, so you are completely surrounded by the best that nature has to offer. And, as you would expect from a five star property, the rooms are impeccably decorated with no detail left to chance. Sleeping with our doors open to enjoy the sublime climate of this mountainous coastal place and waking the next morning to enjoy nothing but the sunrise and the sounds of giant seals on the coast from our private deck proved that serendipity is, indeed, a good thing. As you would expect, the on-site restaurants are second to none. Whether you choose the the sushi grade sea bass at the Pacific's Edge for dinner or the "make your own" omelet on the deck of the more casual California Market, you will not be disappointed. And both restaurants have views of the Pacific to die for. So there you have it. Big Sur. The land. The sea. The mountains. And, most of all, the spirit of this special place and our stay in a world class boutique retreat made this middle leg of our coastal California sojourn No. 1 On The Nomad's List of Places To See, Eat, Sleep and Experience before you die. Next week - the final leg to The Golden Gate, Muir Woods and Napa Valley. This Week's Video Artist - The Beach Boys. Who better to capture the essence of the pop culture that defines the west coast than America's Band? From Surfin' in 1961 to Pet Sounds and Good Vibrations, this innovative rock/pop band has been on our radio dials for over fifty years!